Mushroom scientist Paul Stamets believes that mushrooms can save our lives, restore our ecosystems and transform our world – and he has done the science to prove it. Stamets has filed 22 patents for mushroom-related technologies, including pesticidal fungi that trick insects into eating them, mushrooms that can break down the neurotoxins used in nerve gas, mushrooms that can treat cancer, and mushrooms that can break down oil and radiation. Stamets is a leading researcher into mushrooms as a keystone species for soil and plant health, bio-remediation and habitat restoration. For many of the crises we are facing in commercial agriculture – E.coli outbreaks, pollution of our oceans and streams with pesticides and fertilizers, and peak phosphorus – Paul will tell us how to stave them off with mushrooms. Stamets is the author of 5 books including the classic Mycelium Running: How Mushrooms Can Help Save the World. Once you’ve heard ‘renaissance mycologist’ Paul Stamets talk about mushrooms, you’ll never look at the world – not to mention your farm, neighborhood or backyard – in the same way again. 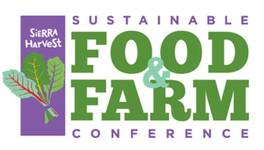 Paul is presenting at the 2016 Sustainable Food & Farm Conference on January 9th. Read more about Paul at Fungi Perfecti.